We have now uploaded the final Autotech assessment of 2018 to www.autotechnician.co.uk/registration devised by expert repairer and independent trainer Andy Crook of GotBoost. The networking quiz will enable you to test your knowledge of CAN Bus and your diagnostic test routine. If you have not already registered to take the Autotech tests, fill out the quick form and you’ll gain instant access. If you have previously registered, simply login and select Test 6. Q1. A VEHICLE HAS BEEN RECOVERED TO YOUR WORKSHOP, THE CUSTOMER HAS REPORTED AN ENGINE MALFUNCTION WARNING ON THE DASH AND MOST OF THE OTHER WARNING LIGHTS HAVE COME ON. – During your customer interview you have discovered some functions of the vehicle are operational while others are not. For example, it starts and drives, but the heater/aircon control panel is not illuminated and the heater fan is running at full speed. – The customer fears he may have damaged the car beyond repair while trying to fit a dash cam. – A global scan has discovered only 4 control units communicating and 3 of them contain faults. – Engine ECU – 1 fault stored. – ABS ECU – 3 faults stored. – Steering Angle Sensor Module – 0 faults stored. – Body Control Module – 1 fault stored. The High-Speed CAN Bus Network is communicating with the scan tool, but the Medium Speed Bus appears not to be reporting any modules at all. 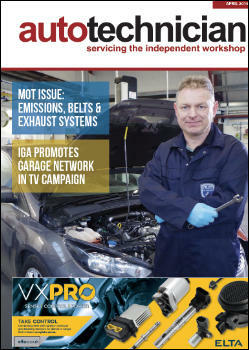 How can a technician easily find out what what modules are fitted within the vehicle networks? There are 15 questions in total. Once you have completed the test, your confidential scores are emailed to you, along with explanations behind each right answer. 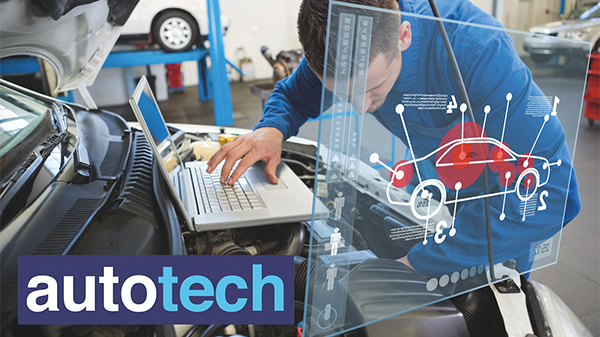 Autotech 2019 will be introduced in the Jan/Feb issue, providing you with more assessments and training events throughout the new year.